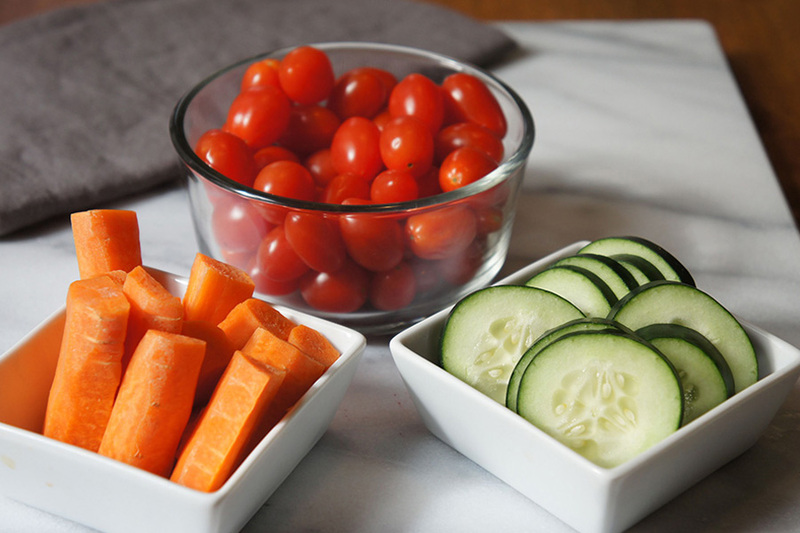 Prep your snacks ahead of time, so they’re ready to eat when you are! Wash and slice vegetables and store in glass containers in the fridge. Sliced celery, carrots, and peppers may fare better submerged in water. Don’t get caught empty handed. Keep emergency snacks in the car or in your bag. Having a snack readily handy in the car can help tide you over and prevent you from finding yourself starving and making a b-line for the nearest drive thru. These snacks come in especially handy when out anywhere for the day where you will not have access to healthy food.